And judging by the standing ovation that this touring musical received on opening night at Seattle’s swanky Paramount Theatre, it is clear that Sams most definitely accomplished his goal of wowing audiences with his stage craft. Scenic and Costume Designer, Robert Jones, along with Lighting Designer, Hugh Vanstone, and Video/Projection Designer, Jon Driscoll, worked nothing short of magic in bringing this novel turned film turned stage adaptation to life. All of the bedazzling effects you expect from the movie are all there in the stage craft: the monster tornado; the flying house, witches and monkeys; the majestic grandeur and captivatingly vivid colors of Oz and Munchkinland; the witches that “come and go so quickly.” Everything is there, but even more breathtakingly so, because it is so much bigger, so much closer, so much more personal and immediate. Of course, “The Wizard of Oz” is all about spectacularity, and these stage designers delightfully overwhelm the audience with their amazing work. All of the bedazzling effects you expect from the movie are all there in the stage craft: the monster tornado; the flying house, witches and monkeys; the majestic grandeur and captivatingly vivid colors of Oz and Munchkinland. Wade is also joined by Jamie McKnight, Mike Jackson and Lee MacDougall, who accompany her on her journey down the yellow brick road, playing the Scarecrow, The Tin Man and the Cowardly Lion, respectively. They each bring something new and different to their roles, but also still maintain a connection to their film predecessors. And this connection to the past and innovation in the present is also manifested in the music of the show. We still get all of the old favorites: “Over the Rainbow,” “Ding Dong the Witch is Dead,” “The Yellow Brick Road,” “If I Only Had a Brain,” etc. But there are also some new numbers written by Tim Rice and Andrew Lloyd Webber, such as “Nobody Understands Me,” “Bring Me the Broomstick,” “Red Shoes Blues” and others. I, personally, was less fond of the new songs, as they seemed much more bland and Disneyfied than the beloved originals by Harold Arlen and E.Y. Harburg. And indeed, there was an element of Disneyfication that I did find dissatisfying at times in the production, particularly in the portrayal of the “Wicked Witch of the West,” played by Jacquelyn Piro Donovan. She seemed a little too Shrekish to me, whereas the portrayal of the Great Oz bordered on Grinch. But this was only a minor weakness with the otherwise incredible production. And the choreography by Arelene Philips was outstanding! And of course, I must mention Toto. Having a real dog on stage can always be risky, and yes, his presence did provide some cute unabashedly shameless “ooohing and aaaahing” moments. But I must say, I was very impressed by how well trained he was. So, hats off to animal trainer William Berloni, as well! In short, this is a solid production of an American classic! A definite crowd-pleaser and a “must see” for kids of all ages, from 1 to 101! 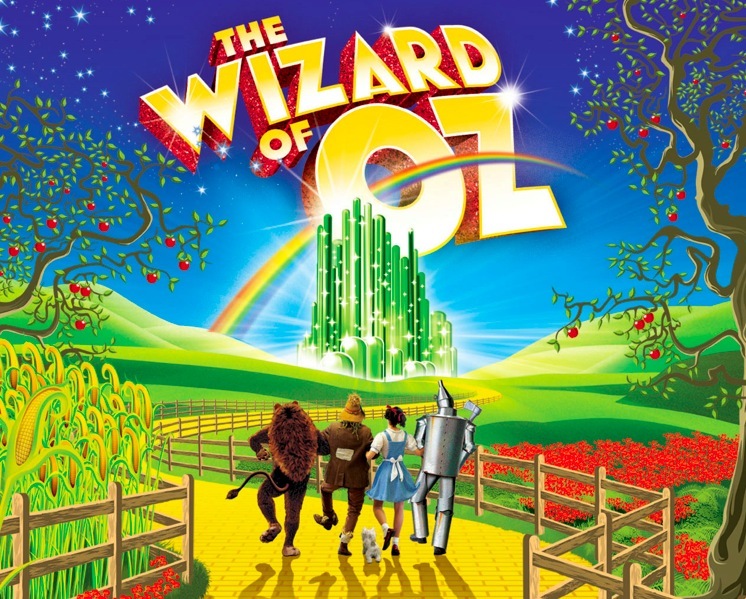 “The Wizard of Oz” plays through Oct. 13 at the Paramount, 911 Pine St., Seattle. For tickets and information, call 800-784-4849 or visit www.stgpresents.org.